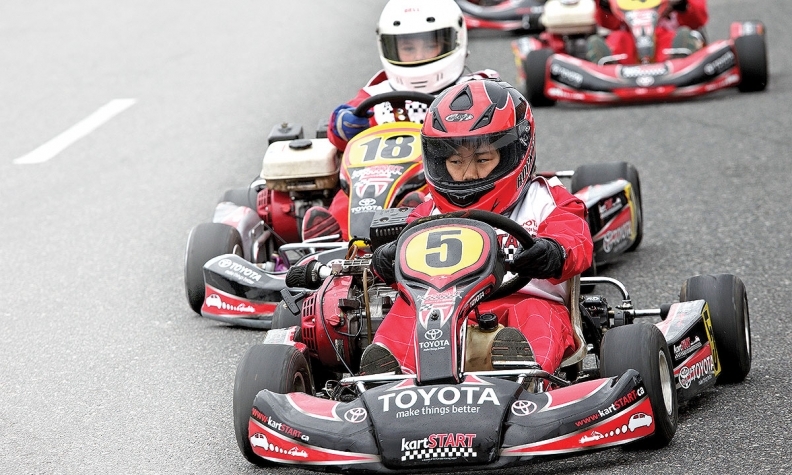 Toyota's KartStart puts children as young as 10 behind the wheel. Automaker-sponsored programs on some level exist at the intersection of civic-mindedness and business self-interest. Improving driving skills benefits everyone. That can involve putting people in the seats of products and if at the end of the course they have gained a potential customer, however indirectly, so much the better. “It sells cars,” said JoAnne Caza, director of communications for Mercedes-Benz Canada, who is also responsible for its driving programs. In particular is the Mercedes-Benz Driving Experience, which is a fee-based suite of programs geared toward owners and would-be customers. It includes everything from road tours to off-road tutelage and events where drivers sample AMG performance models on race tracks. Caza also oversees the Mercedes-Benz Driving Academy, where novices are taught driving fundamentals. It’s not geared toward promoting the brand but students do get behind the wheel of a new Mercedes. 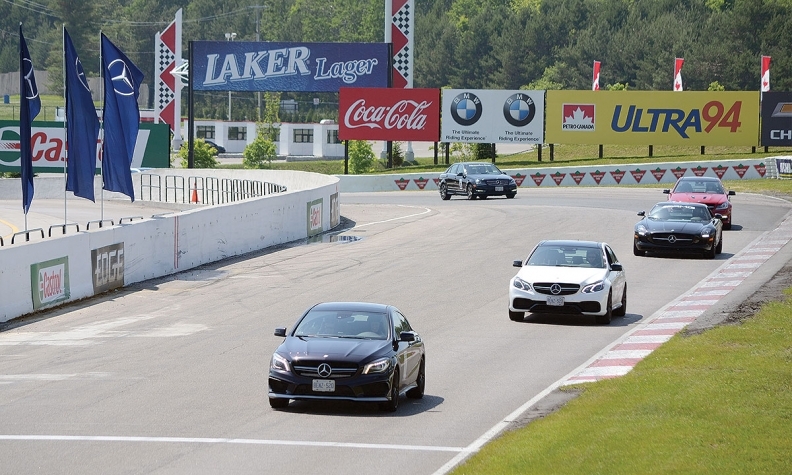 Instructors from Driving Unlimited, which delivers all of Mercedes’ driving programs, conduct classroom and online sessions out of local dealership boardrooms along with on-road sessions. Mercedes-Benz holds driving programs not "to position the brand," but "for the customer." The driving academy, launched about two years ago, is limited to British Columbia locations so far. Mercedes-Benz wants to expand, but setting up the training infrastructure is not easy, Caza said. The market tie-in is more direct with the company’s driving experience programs but Driving Unlimited instructors don’t act as shills, Caza stressed. “These guys are totally impartial. Ford Driving Skills for Life teaches newly licensed teens the skills that are not always part of basic driver-education courses, such as recognizing potential dangers on the road, car control and speed and space management. The program, available in 34 countries, has run for 13 years in Canada. The idea of getting children behind the wheel of a cart is to teach them that the real thing is not the same as a video game. Still, what teen is going to forget the Ford Mustang he drove in the program’s skid-recovery session? 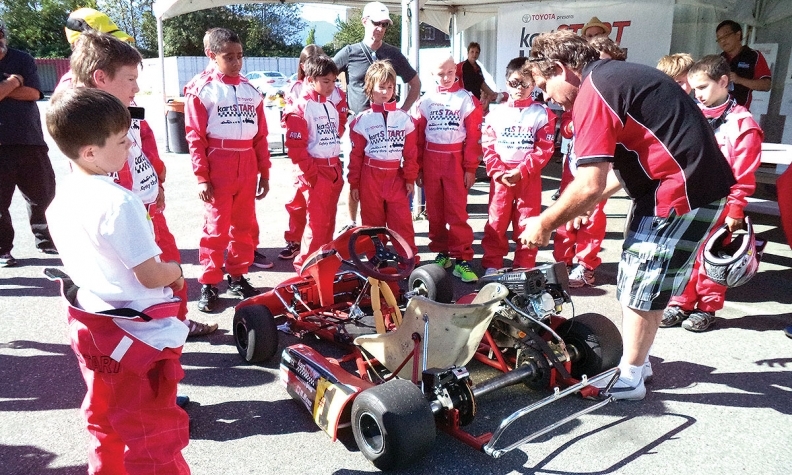 Toyota-sponsored KartStart is perhaps the most unusual OEM-sponsored program. It puts kids as young as 10 behind the wheel of go-karts to get an understanding that real vehicles don’t behave the same as the ones on their game consoles. But students do see demonstrations of the latest electronic safety systems aboard a Toyota RAV4 compact tall wagon using virtual reality. “‘Gamification’ of information we’ve found is one of the best ways to try to get what are otherwise fairly complicated messages around safety technology put in a meaningful way that both kids and parents can absorb,” said Toyota Canada Vice-President Stephen Beatty. Many families who participate are already Toyota owners; it’s promoted by dealers and on the company website. That’s largely the case for Mercedes as well, said Caza, speaking about the company’s adult driving-experience programs. That’s especially true of the AMG courses. “AMG is positioned as driving performance,” said Caza. Porsche perhaps draws the straightest line between its program and eventual sales. Participants are pulled into the company’s performance and racing heritage. “Our Porsche Driving Experience goes beyond just demonstrating those capabilities to a prospect or an actual owner,” said Jennifer Cooper, who manages Porsche Driving Experience in Canada. There is a tangible payoff among prospective buyers who have taken the program, whose names are then funneled to dealers. “Our conversion rate in Canada tends to be in the low teens, which is considerably higher than the rest of our global market,” said Cooper, adding the global average is around four per cent. Existing Porsche owners often trade their vehicles after driving the latest models featured in the program, she said. “We see that repeat buyer for sure and that is part of the overall brand experience, to instill customer loyalty,” Cooper said.